More people than ever before are thinking about the privacy and security implications of surveillance capitalism. If all these hey-you-guys applications we use every day are actually spyware instead of our buddies like we thought they were, how much information about us have they collected, and what can we do about it? In other words, you might well be wondering: how much does Facebook actually know about me? While we wait, here’s the stuff we don’t need Zuck for. Put the Facebook app on your phone and it tells you it wants to see your contacts list. Once it’s on your phone, it scrapes the lot. All your contacts – phone numbers, addresses, emails, the lot. Want to know the worst of it? They probably still have all your contacts. They just scraped them from your friends. Every Messenger message you ever wrote lives on forever in Facebook’s data centers. Facebook doesn’t need to listen in on your voice calls when they have every word you ever wrote on Messenger. And while they say they delete all your data when you delete it, it looks like in fact, they just mark it deleted – and pour it into their data lake anyway. It’s not just that every photo you’ve ever uploaded to Facebook is available to view. That’s just creepy. What’s downright scary is that all their metadata is also available. Metadata is one of those words that makes most people pass out from boredom before they have a chance to find out what it means. Add all that together and Facebook knows where you’ve been, and for how long, and what you did while you were there. Chances are, thanks to family and friends, they know all this even if you never had a Facebook account. This is courtesy of Facebook’s DeepFace technology (SFW? You decide) that claims to be able to ID a person with 97+% accuracy. European readers won’t have this, because of big government regulation taking away their freedom; but even EU citizens are being Zuckered into it with opaque user agreements ahead fo GDPR. Facebook keeps all your sessions – when you logged in and out, where you were and which browser you used. That data lets Facebook map out the patterns of your life – where you normally are at a certain time each day, for example. Which would just be a bit spooky – if it wasn’t for this guy. And he’s the one we know about. Best thing you can do? 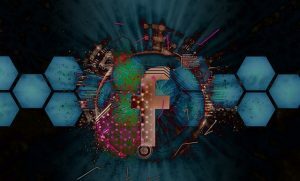 Get yourself off Facebook – or if you still want to use it, get a VPN, change servers regularly and make your Facebook account pseudonymous.